People develop favourites among restaurants they want to visit again and again, even go as far as taking a flight to another country to repeat a memorable eating experience. Likewise there are some food stores that appeal more than the others. For me one of those is at Manor department store in Geneva. That is the shop that I always try to visit, even if I am short of time. I wonder if it actually is the store with the widest choice in Switzerland. Most food shopping in Swiss cities is done in two big retailers Coop and Migros. Many of my friends say that they have to shop at both as some things are not sold or are better in one, others better in the other store. There is also Globus department store with a food floor that is upmarket and holds a range of more gourmet taste ingredients. David Lebovitz has described the Globus experience well. I crave to wonder around the Manor Food store. It is like a drug, just a walk around has a healing and stimulating effect to the food side of my brain. Their fresh bread assortment is rich with sourdough breads, rolls, baguettes, loaves of all sorts. 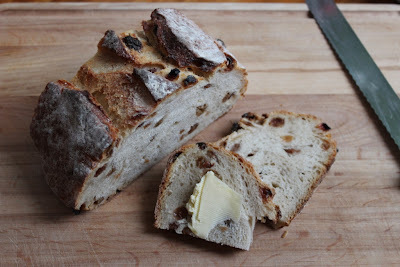 Every time I visit I MUST buy the pain au levain with raisins. The freshly baked warm loaf is close to a meter long and weighs several kilos. You can show how long a piece you would like and they cut your "loaf" for you. 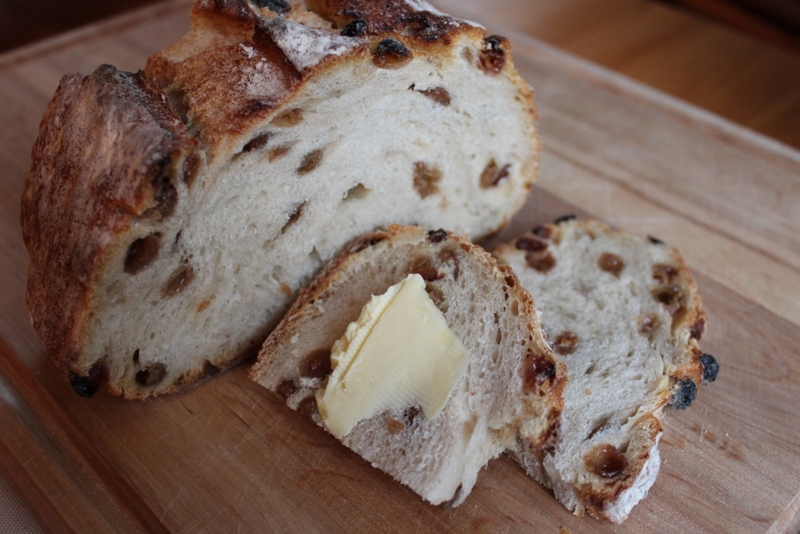 Similar sourdough breads, all freshly baked, are also available with figs or apricots. There was fresh octopus carpaccio sliced and packed in appetizer size portions. I´ve not seen that sold anywhere else in Switzerland. The fresh meat offering ranged from numerous sorts of birds in different cuts or whole birds, ribs that seemed to have enough meat on the bone for juicy rib roast or BBQ. People who enjoy liver and other inner organs would find at Manor whatever the recipe requires. Even brain, I saw. For the sushi lovers there is now an even bigger counter for sushi, freshly made at the store. Dim sum and other Asian bites can be bought there too.